Summary: In order to summarize the progress and effectiveness of the "Mass Entrepreneurship and Innovation" work of national manufacturing industry, promote the successful experiences and practices in the "Mass Entrepreneurship and Innovation" work, in accordance with the unified arrangements of the Ministry of Industry and Information Technology. 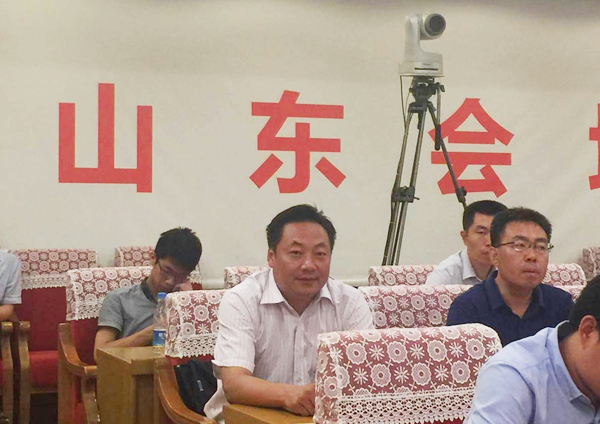 July 27 morning, the national manufacturing industry videophone conference in "Mass Entrepreneurship and Innovation" work was held in Beijing, Vice Minister of the Ministry of Industry and Information Technology(MIIT) Chen Zhaoxiong attended the meeting and delivered a speech. At the same time the branch meeting place was set up in Ji'nan. Deputy director of Shandong Economic and Information Technology Committee Lian kai, Chief of Shandong Economic and Information Technology Committee Informatization Promoting Department Li Yonghua and all the leaders and heads of the main administrative offices in all Municipal Economic and Information Technology Committees of Shandong province presented the meeting. Shandong Information Technology Industry Base Office Director, Jining Municipal Commission of Economy and Information Technology researcher Wang Youbing, Jining Informatization Promoting Department Chief Sun Xiaowen presented the meeting on behalf of Jining Municipal Commission of Economy and Information Technology. 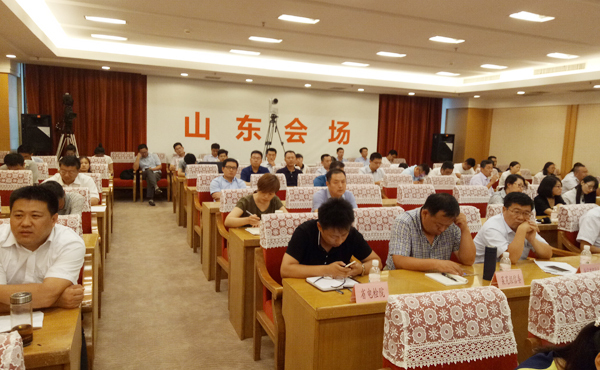 As ;the "Mass Entrepreneurship and Innovation" typical large backbone enterprise, Shandong China Coal Group was invited and the Group executive general manager Han Yong attended the meeting. 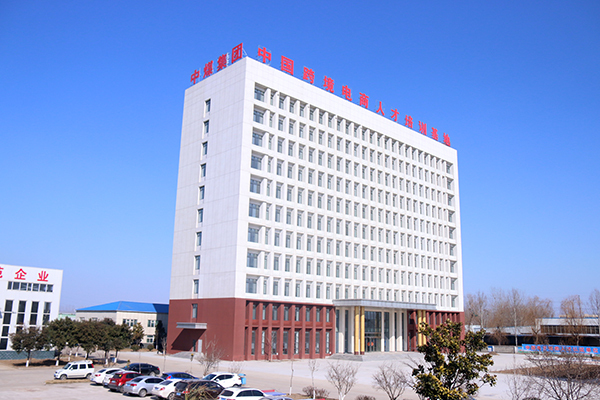 In order to summarize the progress and effectiveness of the "Mass Entrepreneurship and Innovation" work of national manufacturing industry, promote the successful experiences and practices in the "Mass Entrepreneurship and Innovation" work, in accordance with the unified arrangements of the Ministry of Industry and Information Technology. 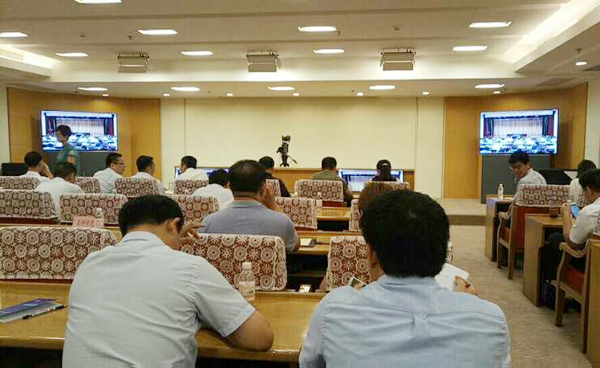 July 27 morning, the national manufacturing industry videophone conference in "Mass Entrepreneurship and Innovation" work was held in Beijing, Vice Minister of the Ministry of Industry and Information Technology(MIIT) Chen Zhaoxiong attended the meeting and delivered a speech. At the same time the branch meeting place was set up in Ji'nan. Deputy director of Shandong Economic and Information Technology Committee Lian kai, Chief of Shandong Economic and Information Technology Committee Informatization Promoting Department Li Yonghua and all the leaders and heads of the main administrative offices in all Municipal Economic and Information Technology Committees of Shandong province presented the meeting. Shandong Information Technology Industry Base Office Director, Jining Municipal Commission of Economy and Information Technology researcher Wang Youbing, Jining Informatization Promoting Department Chief Sun Xiaowen presented the meeting on behalf of Jining Municipal Commission of Economy and Information Technology. 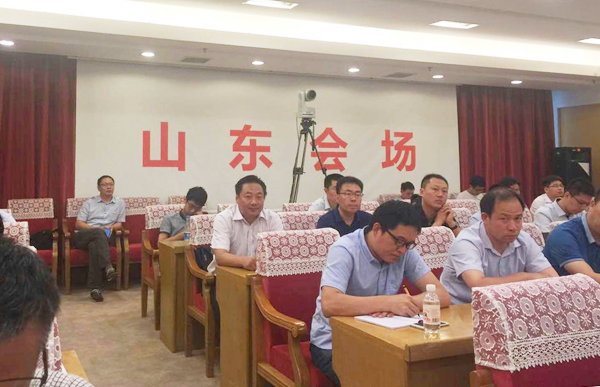 As ;the "Mass Entrepreneurship and Innovation" typical large backbone enterprise, Shandong China Coal Group was invited and the Group executive general manager Han Yong attended the meeting. Vice Minister of the Ministry of Industry and Information Technology(MIIT) Chen Zhaoxiong pointed out, the Party Central Committee and the State Council attach great importance to the "Mass Entrepreneurship and Innovation" work, "Mass Entrepreneurship and Innovation" is an effective way to promote the employment through entrepreneurship and innovation, is an important force to promote the upgrade of the economic structure and old and new kinetic energy transformation. The manufacturing industry as the "main battlefield", is an important grasp to deepen the developing and integrating of manufacturing and the Internet, is an important measure to stimulate manufacturing innovative vitality and development potential, the motive force of transformation. Large manufacturing enterprise is an important force in the work and has accumulated rich experience, hope through the study and exchange in the typical experience and practice of large enterprises to play the effect of benchmarking and demonstration effect of large enterprises in the "Mass Entrepreneurship and Innovation" work, improve the speed of;the transformation and upgrading and quality and performance of the enterprise. 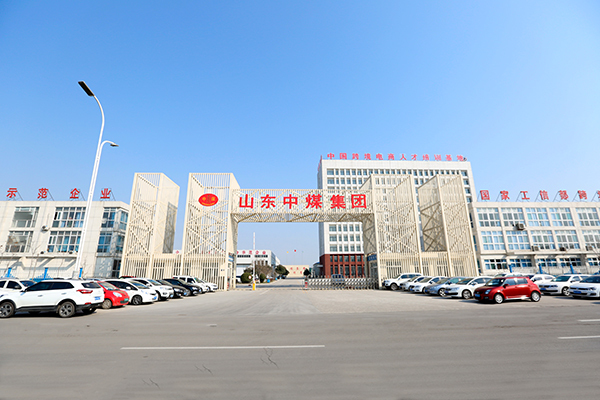 In recent years, Shandong China Coal Group actively respond to the national calling "Mass Entrepreneurship and Innovation" to accelerate the transformation of new and old kinetic energy to enhance the level of integration of manufacturing and Internet integration, and actively promote transformation and upgrading industrial, through adopt foreign advanced robot technology, developed high-end intelligent products for China, has successfully manufactured industrial intelligent robots, restaurant service robots, intelligent home robots, entertainment robots, fire robots, high-tech UAV, 3D printing equipment, intelligent security equipment and other high-end intelligent products, greatly led rapid development of intelligent terminal industry in southwest region of Shandong Province and even Shandong Province! 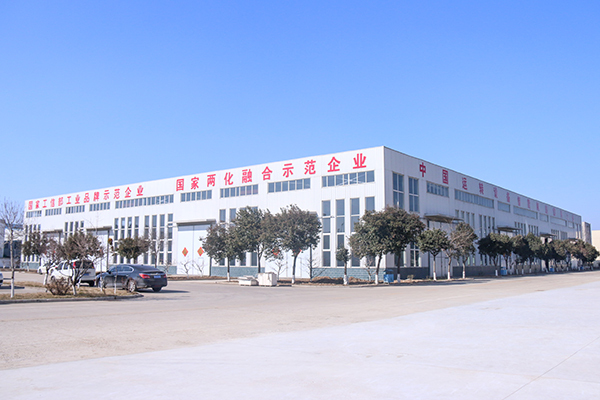 At the same time, as the Shandong Province IOII Management System Pilot Enterprise, our Group adhere to the "manufacturing and Internet integration" development strategy, and actively promote the enterprise information and industrialization depth of integration and development, and vigorously develop industrial supply chain e-commerce, transformation into modern e-commerce sales model, as the e-commerce industry model in country, walking in the forefront of the national information industry.China Coal Group won e-commerce integrated innovation demonstration enterprises by Ministry of Industry and Information Technology, 2016 innovation and practice awards of China integration of IOII, Shandong Province pilot enterprises of IOII management system standards, Shandong Province outstanding contribution enterprises, Shandong e-commerce business model, Shandong e-commerce outstanding enterprises and Jining IOII key demonstration enterprises, highly praised by the national, provincial and municipal leaders many times.Our Group has independently developed industrial and mining machinery industry B2B platform 1kuang.net which is the first in China. It has filled the gaps in the cross-border e-commerce platform of industrial and mining machinery industry at home and abroad, and has been selected as e- commerce integration innovation pilot project and cross-border e-commerce key support projects by the national Ministry of Industry and Information Technology, made outstanding contributions to promote depth integration development of the National information and industrialization. We can say, in the process of platform construction for the "Mass Entrepreneurship and Innovation", and Shandong China Coal Group actively explore new business models, organization mode and management mechanism, which released the internal innovation vitality of the enterprise, set up a model in the "Mass Entrepreneurship and Innovation" work for the manufacturing enterprises in Shandong province and even the Nation!